I’m sure you’re all very smart and knew all these anyway. But it’s rare that I get all that excited about clothes – I like them, but I often struggle to find affordable stuff that fits and that is worth getting excited about. And I will always enjoy days in battered Uniqlo jeans and my 1980s EPCOT hoodie. But anyway, just in case you didn’t know about this – or perhaps feel the same way – here are my five reasons to love Collectif. 1. It’s vintage-inspired without you having to actually look for vintage stuff. Which, while it’s lovely and addictive and incredibly rewarding, is also time-consuming and frequently disappointing (especially if, like me, you only ever find things you like in teeny, tiny sizes). Plus, vintage looks look awesome with flats. Which this never-wearing-heels-again woman is pretty happy with. 2. The size range is respectable, going from 8 to 22, and using a roughly 1940s ratio for the fit – which means that if you have a relatively broad waist-to-hip ratio, things will fit beautifully. And though I’m quite tall at just short of 5′ 9″, the longer skirt lengths means they still fall just below the knee and look fab. 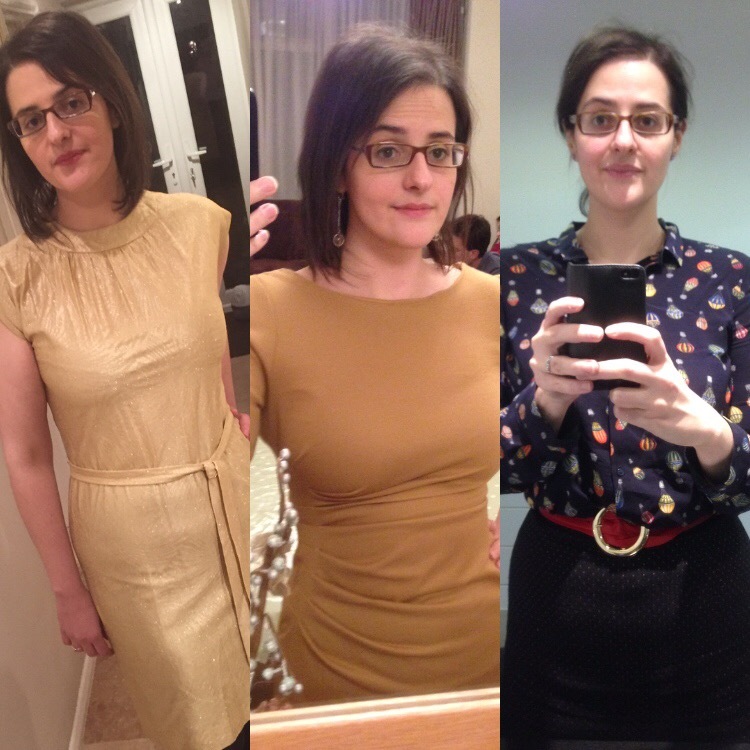 I’m a 14 in M&S but a 16 at Collectif, but I don’t care about going up a size when things fit perfectly (and we all know M&S is a bit of an ego massage anyway). 3. The prices aren’t low, but they are much lower than many similar brands. I ain’t never giving up my love for Vivien of Holloway, but I can’t afford a £100+ dress very often at all. 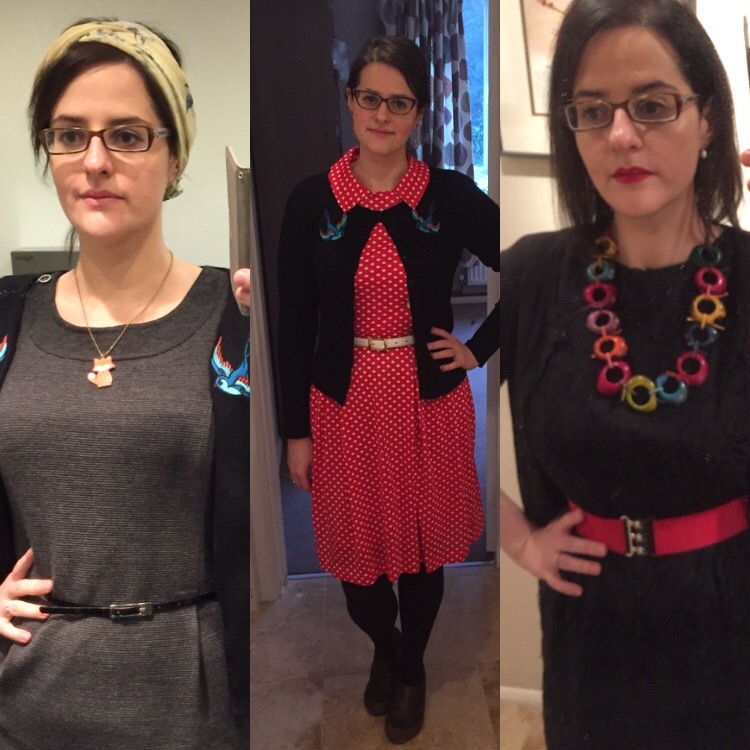 So for everyday looks, Collectif is a much more accessible source. And there are excellent sales – I bought at least one skirt for just £15. 4. The service is a joy. Easy, quick returns (sadly, not everything can look good), stupid questions answered with grace and charm, and unexpected postal problems swifty resolved. 5. There are high street stores too! I haven’t actually visited one yet, but I’m very much going to. As soon as I can risk the dent to my bank account. 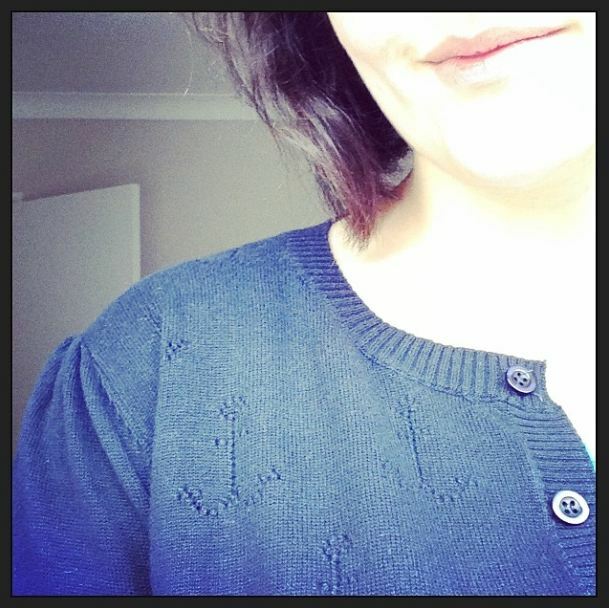 My favourite pieces so far have been this sturdy yet elegant navy cotton anchor-patterned cardigan (which, in spite of my shoddy photography, rightfully got much Instagram love), a slinky, high-waisted skirt and, well, another gorgeous high-waisted skirt. A nipped in cardigan, a stretchy VoH belt, some ridiculous earrings and a smear of silly-bright lipstick – it feels like do-anything armour on days when looking confident helps you to feel the same way. Anything I’m less keen on? Well, cigarette pants look awful on me, but I don’t think I can blame them for that. Oh, and I’d love to see an even bigger accessory collection. No sponsorship, just an honest bit of love because I felt like it.